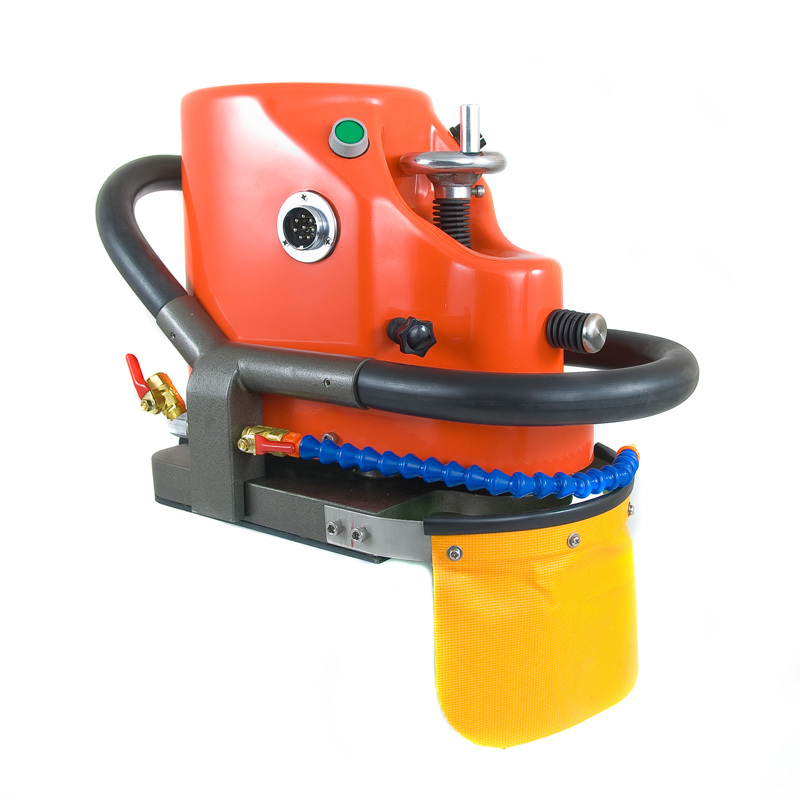 Lightweight, Bigfoot Variable Speed Stone Edge Router with 3.5 HP Milwaukee® Motor is Designed to Make Fast & Efficient Profiles on 2cm, 3cm and 4cm Granite, Marble & Natural Stone Slabs. 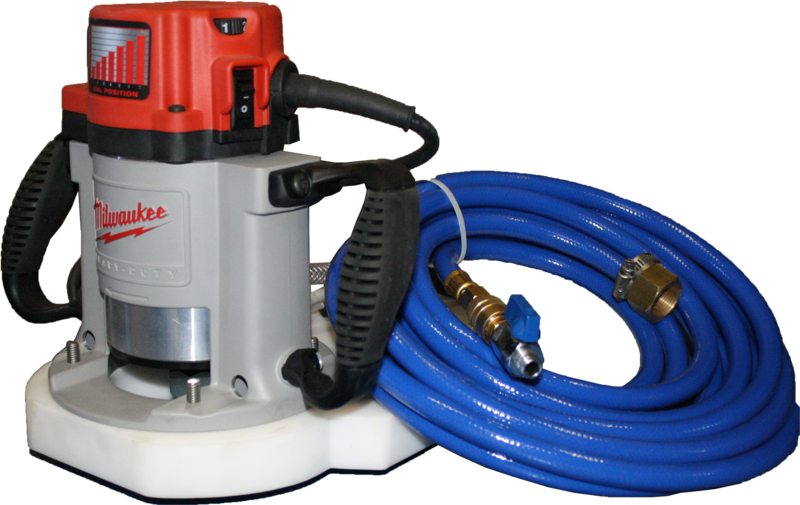 Equipped with Teflon Hydra-Float Base, Air Hose & Brass Fittings. Single Speed, Electronic Portable Milling Machine by Ghines delivers high production shaping results in hard granite, quartz, engineered stone, marble and natural stone. Sector's 8000 RPM cutting speeds provide the fastest finished results while maximizing diamond cutting performance and maximum tool longevity. Durable and Lightweight Aluminum Framework. Does not operate polishing wheels. Italian Engineering. CALL FOR BEST PRICE! 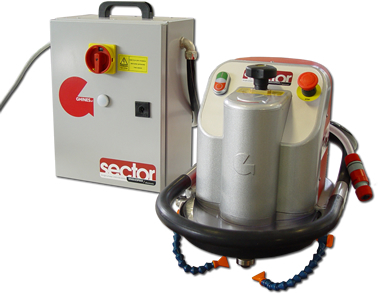 Sector TripleSpeed Portable Edge Profiling Machine by Ghines has (3) distinct rotation speeds: low speed of 2600 RPMs for polishing natural and synthetic stone, an intermediate speed of 6000 RPMs for stock removal and finishing of synthetic stone and a high speed of 10,000 RPMs for the polishing of natural stone. Sector TripleSpeed comes equipped with an electronic vectorial inverter to optimize the supplied power, maintaining constant torque at any RPM. Even if equipped with a three-phase motor, Sector TripleSpeed is supplied with single phase tension 230V/50-60Hz so it can be plugged into a standard single phase outlet. Italian Engineering. CALL FOR BEST PRICE! 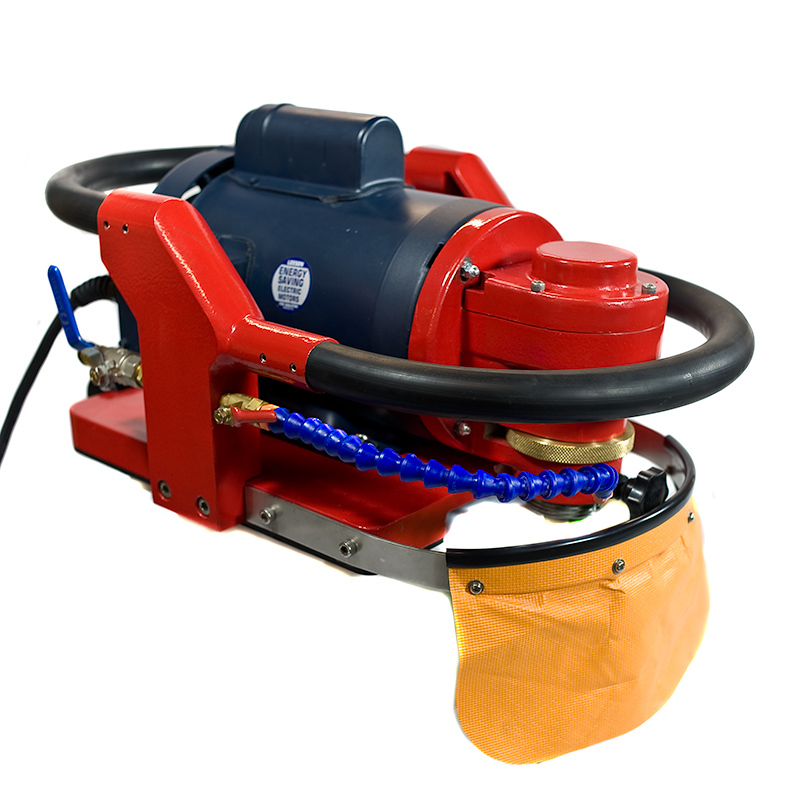 Red Rocket® CP1 Professional-Series Router Utilizes Efficient 2HP Single 3400 RPM Motor. Utilize for Stock Removal and Routing. Anti-Slip Circular, Rubber Handle. Stainless Steel Spindle. Direct Drive Brushless Motor. Solid Rubber Hydro-Float. 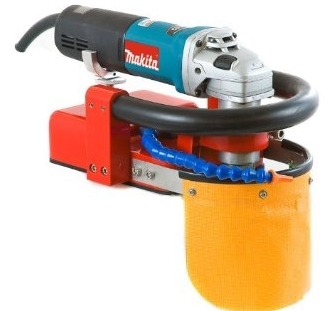 Red Rocket® 125 Mini-Router Includes Makita® 9565CV Grinder. Utilize for Routing Profiles on Granite, Marble and Natural Stone Slabs. Anti-Slip Circular, Rubber Handle. Solid Rubber Hydro-Float. Red Rocket® M4S Professional-Series Router Utilizes Efficient 2HP Variable Speed 0-8500 RPM Motor. Equipped with Electronic Vectorial Inverter to Optimize Power & Maintain Constant Torque Even at Lower RPM's. Utilze for Stock Removal, Routing, Finishing & Polishing. Anti-Slip Circular, Rubber Handle. Stainless Steel Spindle. Solid Rubber Hydro-Float.